Summer is the Season to Discover Nature! Enjoying nature is a year-round activity, but summer is the best time to experience our natural environment in its full splendour. Many species have adapted to our harsh mountain landscape and long, snowy winters by laying low for much of the year. This conserves energy for the flourish of activity and abundance we see in summer. Bears are probably our most beloved hibernators, waking from their slumbers in spring and chasing plant foods like berries up the mountainsides as the snowline recedes. Once they reach the alpine in late summer, bears, along with hikers and other visitors, are welcomed by vast meadows carpeted in vibrant colours; alpine wildflowers who need to maximize their visibility to ensure they are pollinated by insects during the short, snowless growing season above treeline. Moss campion offers a burst of lavender amidst the bleak alpine scree. Photo: Bob Brett/Whistler Naturalists. When it comes to seasonality, however, the hoary marmot, Whistler’s other mammalian mascot, takes first prize. Unlike bears, marmots live in the alpine year-round, and thus hibernate for 7-8 months of the year! This leaves them with a rather a short window to mate & reproduce, pose for tourist photos, and fatten up for the ensuing winter, so they can be quite loud and excitable. The Hoary Marmot dutifully poses for a photo op on Whistler Mountain. Jeff Slack photo. 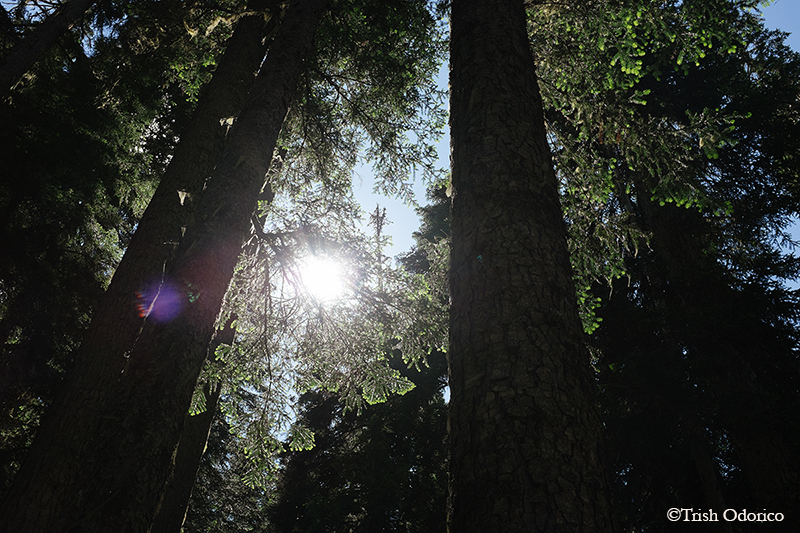 The giant trees of our temperate rainforest are no different, going dormant through the winter and growing through the summer. In fact, the tree rings that we use to determine the ages of trees only exist because of this seasonal ebb and flow; the rings of light and dark matter coincide with periods of rapid and slow growth, respectively. Trees closer to the equator that lack distinct seasons have less prominent rings, or none at all. Here at the museum, summer causes a spike in activity as well. First off, our brood of staff grows with the addition of summer students. Secondly, summertime means an increase in our outdoor, family-friendly programming. Our Valley of Dreams walking tours resumed in June and continue daily, by-donation, until the end of August. This past week we saw the return of two more family favourites: Discover Nature, and Crafts in the Park. Now in its second summer, Discover Nature aims to educate and inspire wonder about Whistler’s amazing natural world. It is offered every Tuesday, Wednesday, and Thursday in July and August, from 10am-4pm, at Lost Lake Park. On the lawn above Lost Lake beach we have an interactive table led by professional naturalist Kristina Swerhun. 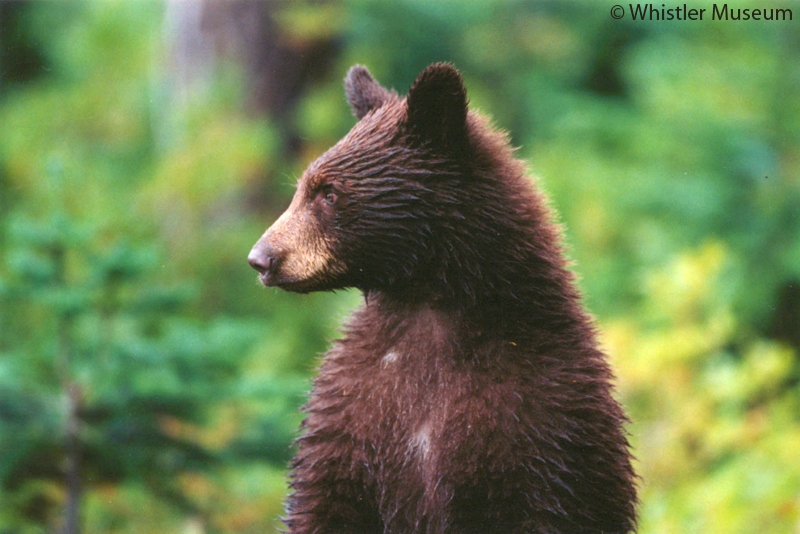 Guests will learn all about Whistler’s rich biodiversity, from bears to bacteria, and the intricate ecological web in which we live. Additionally, guided nature walks will depart from the Passivhaus at the entrance to Lost Lake Park every day at 11am. Get ready to Discover Nature with the Whistler Museum! With help from the Whistler Naturalists and the Whistler Biodiversity Project, the Museum is piloting a public education program this summer. The program includes a Discover Nature Station at Lost Lake and a Discover Nature activity booklet for kids. The Discover NatureStation will be open Tuesdays, Wednesdays and Thursdays from 10 am – 4 pm, starting July 1st and running until September 3rd. It will operate under a tent just outside the concession by the Lost Lake beach. Highlights include manned touch tables showcasing a wide range of Whistler’s amazing nature as well as demonstrations that people can drop in and interact with throughout the day. The Discover Nature Station will also serve as a starting point for scheduled nature walks and other family activities, encouraging face-to-face engagement with nature. Tuesdays, Wednesdays and Thursdays, nature walks will meet at 10 am at the Discover Nature Station and run for about one hour. Family activities will start each day at 1, 2 & 3 pm and run for about 30 minutes each. There will be a different theme for each week day of operation, such as forests, wetlands and water, so those interested could come back on consecutive days and discover something new. All programming at Lost Lake will be by donation. If you have a large group interested in any of these programs, please contact the Museum in advance so special arrangements can be made. The Discover Nature activity booklet for kids is a self-guided and full of fun activities that teach about the wonders of nature here in Whistler. It was inspired by similar successful programs in National Parks across Canada and the US, and locally by the Bear Smart Kids booklet. The booklet includes 15 activity pages, a completion certificate and is illustrated by local artist Kate Zessel. 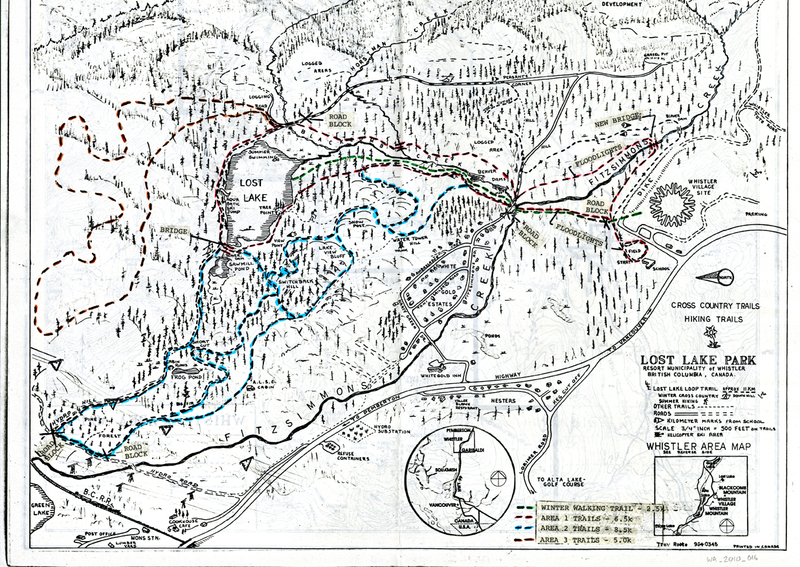 A special Whistler souvenir will be awarded to those who complete activities in the booklet. The Discover Nature activity booklet for kids will be on sale at the Whistler Museum and Lost Lake as well as other outlets, with proceeds going back to the program. If any businesses are interested in carrying the booklet they are asked to please contact the Museum. The Discover Nature program is designed to meet the Museum’s mission of interpreting the natural history of mountain life. Emphasis will be on the notion that all organisms (including us) are interconnected. The goal of the program is to promote environmental stewardship, enhance educational opportunities for residents and visitors alike, and endorse Whistler as an awesome place to explore nature. The program would not have been possible without generous funding from the Community Foundation of Whistler and the Whistler Blackcomb Foundation, as well as support from the Resort Municipality of Whistler. Other key contributors include Bob Brett, Julie Burrows, Emma Tayless, Jane Millen and Sylvia Dolson. The Museum is also thankful to the AWARE Kids Nature Club and the Whistler Library’s Wonder Club for being great inspirations. 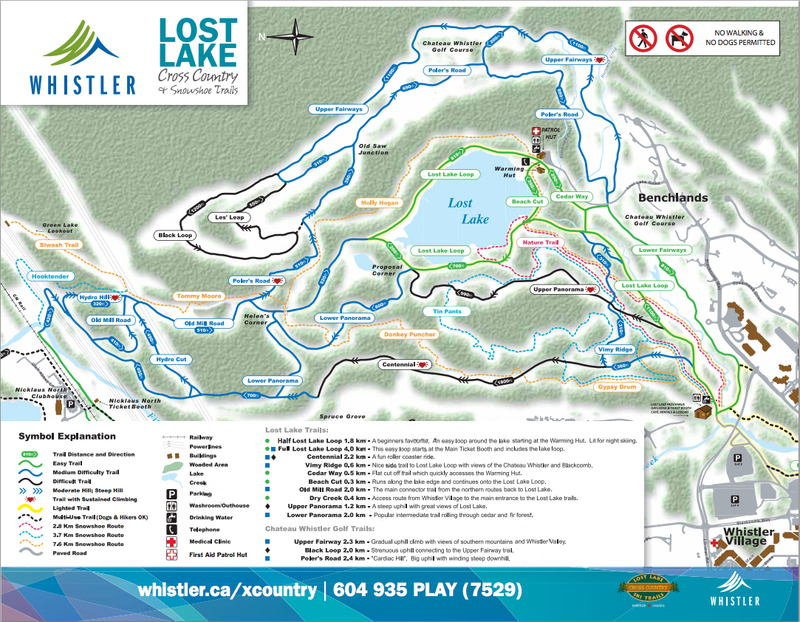 The Whistler Museum would love the community to come and help kickoff of the program at Lost Lake on July 1st. Come out for a picnic and appreciate that food is nature too! For any additional information, booking large groups or booklets for resale, contact the Museum at 604-932-2019,DiscoverNature@WhistlerMuseum.org, or drop in. The Museum is located at 4333 Main St. behind the Library. “There’s been talk of nature programming in Lost Lake Park for years so it’s exciting to be a part of this pilot project. I think anything that makes nature education more accessible will have far-reaching benefits. Like fostering environmental stewardship and expanding cultural tourism opportunities here in Whistler. The program has also been a great reason to reach out to many others and the response has been terrific. For example, the Royal BC Museum is willing to loan us items for our touch tables, Nature Kids BC has been very helpful with our programming for kids and the Federation of Alberta Naturalists has contributed to the kids’ booklet. Closer to home, we’ve been in touch with many local businesses and organizations that have also been really supportive,” says Kristina Swerhun, Coordinator of the Discover Nature program and also with the Whistler Naturalists. “The Community Foundation of Whistler is excited to support this program. The Environmental Legacy Grants program seeks to support education about our natural environment and promote stewardship. Lost lake park is a fabulous location for the Discover Natureprogram, particularly with the annual Western Toad migration that usually takes place in the middle of the park during the summer. The program will benefit both locals and visitors and will hopefully lead all to a greater respect and understanding of the amazing ecosystems in our community,” says Carol Coffee, Executive Director of the Community Foundation of Whistler.